I'm not usually a Petrus tart: in the past my experiences with this wine have left me a bit nonplussed. But this 1978 is the real deal. Thrilling stuff. Just come back from a quick trip from Bordeaux with fellow wine journo Tim Atkin. We were visiting Dourthe, one of the larger negociants who own several properties spread across the region. The focus of yesterday morning was Sauvignon Blanc. Tim and I tried 30 of the blend components for Dourthe No 1 Blanc, which is a varietal Sauvignon Blanc, with winemaker Thomas Drouineau, consultant Christophe Ollivier and CEO Patrick Jestin (below). It was interesting to see the differences between the various lots of wines, and we more-or-less agreed about the best wines. We also had a go at making some theoretical blends: it's interesting how just a small amount of one particular wine can change the whole blend. This was followed by a benchmark blind tasting of Sauvignons on the UK market ranging from £6-£17, with most under £10. The shock was how badly Cloudy Bay 2008 fared: Oyster Bay 2008 was much, much better. Tim and I more or less agreed with our ratings, except with the two most methoxypyrazine-dominated wines, where his scores went right up, and mine went right down. I hate wines with excessive methoxypyrazine. My favourite wine was the Leyda Garuma Sauvignon Blanc from Chile. We then visited La Garde in Pessac Leognan, where we had dinner. At dinner, where we were joined by winemaker Guillaume Pouthier and Matthieu Chadronnier, a lot of blind tasting was done. The most interesting bit was a pairing of two wines, one of which I thought was first-growth quality and complex in a Graves style, the other which I thought was a good wine but which was dominated by a roasted oak character to its detriment. The first turned out to be Dourthe Essence 2000; the second Ch Mouton Rothschild 2000. I'd rather drink the former by a mile. 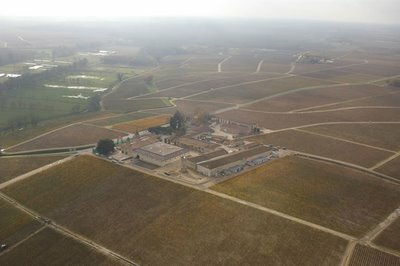 Today we visited Ch Pey La Tour in Entre Deux Mers, and then Ch Belgrave (above), which borders St Julien and Ch Lagrange on one side, and Ch Latour Carnet on the other. It has a lovely terroir: white gravel, largely, with some clay (pictured below is an old Merlot vine on gravel). There we looked at the blending components for the 2008 Essence, which is made from the best bits of the various Dourthe properties. Tim and I did our own blends, in competition with Guillaume and the other Dourthe head winemaker Frederic Bonnaffous (top picture). My chosen blend was 45% La Garde Cabernet, 23% Le Bosq Merlot and Petit Verdot, 8% Belgrave Merlot Soleil block, 8% Belgrave Cabernet Graves block, 8% Belgrave Cabernet Puits block, 8% Belgrave Cabernet Rendez Vous block. I think it was great. We then tried the blends blind, where mine came second behind Guillaume's. It was great fun. We tried a lot of 2009 samples from all properties. It looks like a really serious vintage. Really serious. Supermarket press tastings don't always focus on the bottom end of the market. Especially not when it's Waitrose, who have a list of fine wines that parallels that of a decent independent wine merchant. 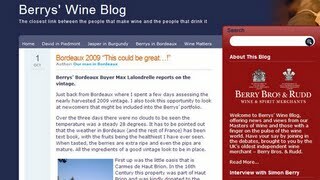 It was nice to find the Leoville-Barton 2005 at their recent tasting, although I worry that consumers buying this to drink now wouldn't be getting the most out of this wine, which is definitely one for the long haul. At its peak, in a decade or two, this will be an awesome example of top quality Bordeaux. 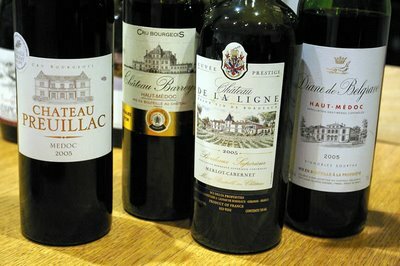 There's a lot of excitement around about the 2009 vintage in Bordeaux, which is still being picked as I write. 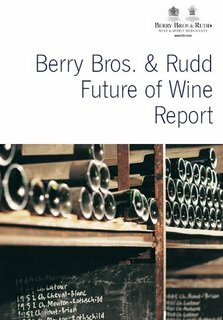 I enjoyed reading the report on the 2009 harvest on Berry Bros & Rudd's excellent blog. 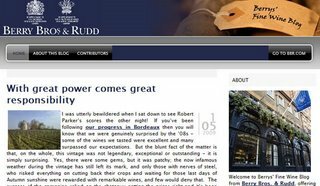 It's written by Max Lalondrelle, and you just have to love someone who in replying to a comment on the blog begins with 'Dear Sir'! I think Max is new to blogging. I particularly liked the reference to the optical sorter, which selects individual berries. Now that is cool. But it makes me think. Here we have a vintage where people are surprised by the hygeinic conditions of the grapes. They have, as in 2005, elevated levels of physiological ripeness, and elevated levels of potential alcohol. And the top properties are taking more care than ever, for example with the selection of grapes. 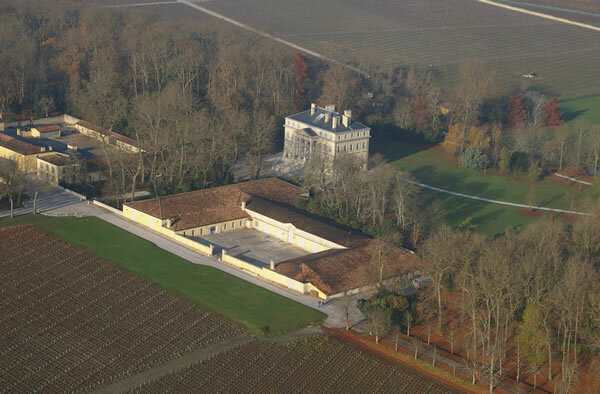 Could it be that Bordeaux is better than ever before? Perhaps. But could it also be that Bordeaux is different to the Bordeaux of yesterday? This seems to be the case. 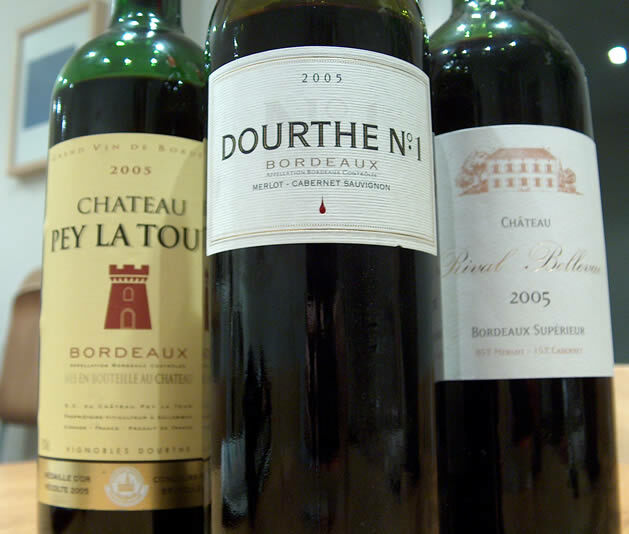 The potential difficulty is that the current 'paradigm' (sorry, horrible word) of fine wine has been largely based on Bordeaux as it used to be, and as it used to develop in bottle. This may need to change in light of the fact that Bordeaux has changed. Might it be that the top 2009 Bordeaux wines will resemble, say, Margaret River Cabernet/Merlot blends? Personally, I love Margaret River Cabernets, and this is not meant as a slight to them. 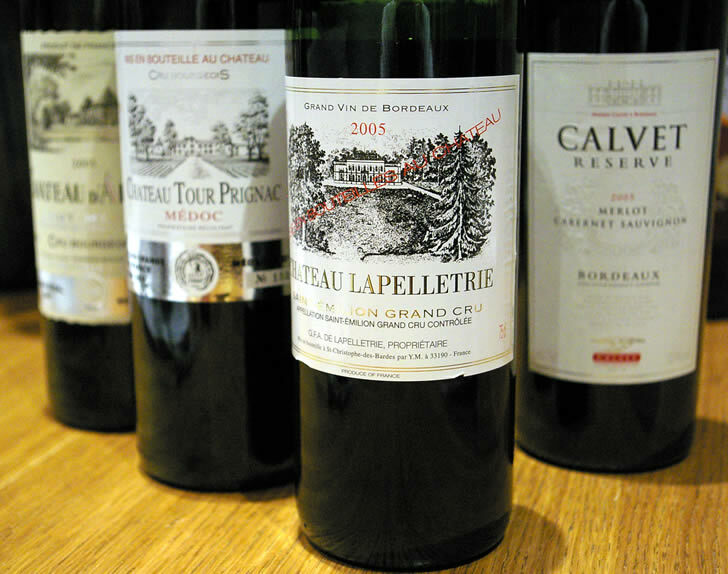 The issue is that there is a sort of contract with the consumer of top Bordeaux that these are wines destined to age and develop in a certain way, and this may no longer be the case. Very enjoyable day. Began with lunch and a couple of pints of Harveys at the White Horse, Parsons Green, with James Gabbani of Cube. We were discussing the closures debate at next week's wine trade fair. Then, the Wine Rack tasting, at the same venue. I was actually quite impressed with the wines - the whites, in particular, showed well. 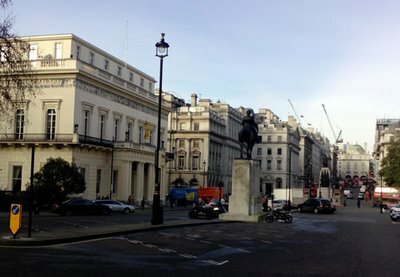 Then it was off to The Landmark Hotel for the Berlin Tasting, London. My full write-up is already online (here). In brief, the Chilean wines were quite easy to pick. Superb tasting: thanks to Eduardo for organizing such a great event. 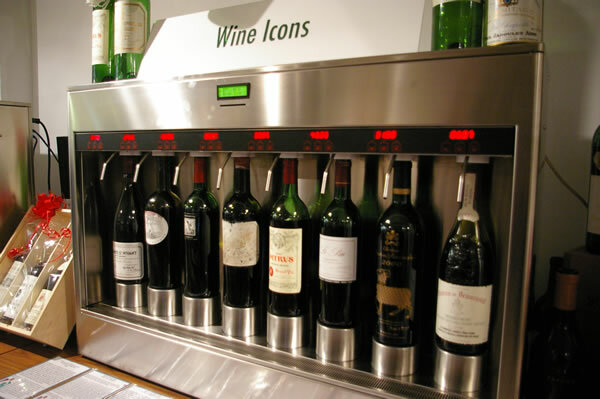 Some people suggest that the way a wine changes overnight - when a portion is drunk one day, the bottle recorked, and then a portion the next day - is indicative of its ageing potential. I'm not so sure there's a direct correlation, but here's one wine that last night was hard, unyielding and tough to drink, and which tonight is really fantastic. 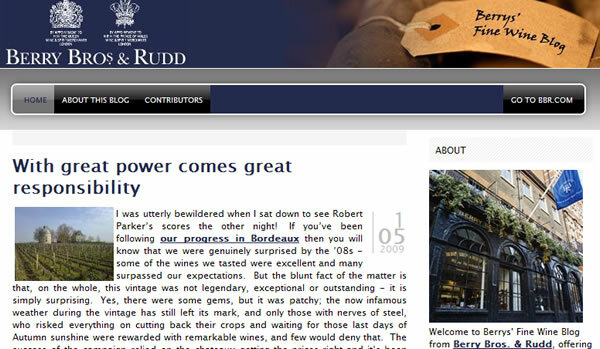 One of the other wine blogs I enjoy a great deal is that of wine merchant Berry Bros & Rudd (bbrblog.com). It has some informed commentators - including Jasper Morris, Simon Staples and David Berry Green - and, as the latest entry indicates, it is not afraid to get a bit controversial. 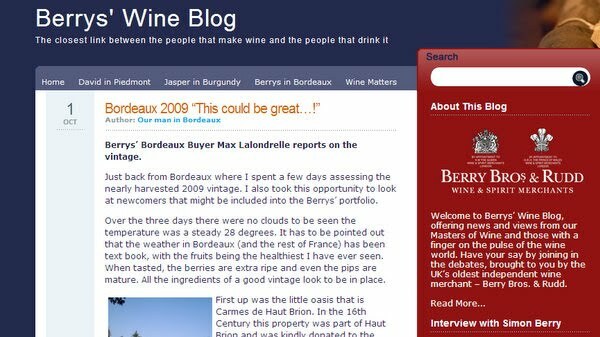 The story I'm referring to specifically here is the lament by Staples about Robert Parker's scores for the 2008 Bordeaux vintage. 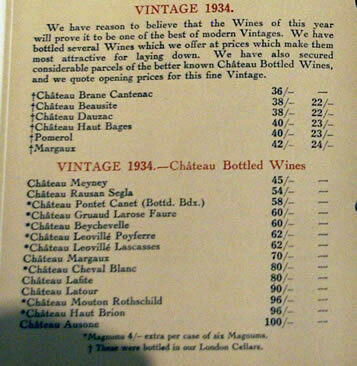 A cynic might argue that Staples wants prices to stay low so he can sell more; then again, he could just jump on the high Parker ratings and use these to sell more wine, even if the Chateau owners stick their prices up a bit in response. But I think Staples is acting in good faith here. 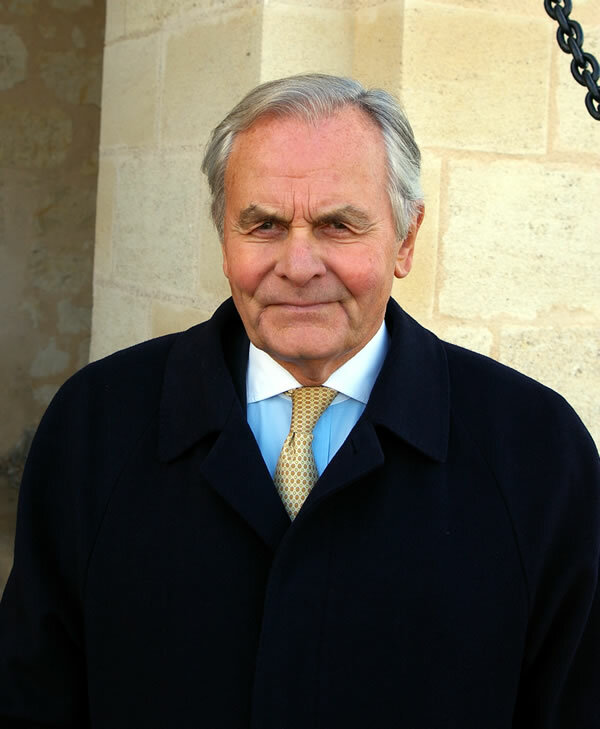 He sounds like he wants what is best for Bordeaux, a region he seems to care a good deal for. Took the boys to Thorpe Park today. It's a horrible, horrible place, but they love it. I spent most of the time on my laptop hiding in a coffee bar. When we got back Fiona chose two red wines for me from my rack - one an inexpensive Spanish Garnacha, the second a high-end St Emilion. Just received this interesting viewpoint on the 2008 Bordeaux from Adam Brett-Smith of Corney & Barrow. It seems that 2008 is creating quite a bit of interest for all sorts of reasons. friends. We all need them in these times do we not? Just discovered this very useful google map of the leading Bordeaux properties. Who needs the World Atlas of Wine? It was put together by the team at Majestic Wine (http://blog.majestic.co.uk/2009/03/28/bordeaux-from-space/). It's been ages since I saw a decent film. In fact, the last really good film I remember seeing is Sidney Lumet's Before the devil knows you're dead, and that was in BA business class flying to Argentina a year ago. Shocking. Last night we watched the latest Bond - Quantum of Solace - and it's a woeful effort. Lots of absurd action scenes, but so little character development and an empty headed plot. Bond takes his indescructability to new levels, but action scenes and stunts alone can't carry the film, which just isn't very well written. I'm not looking for too much from Bond, but Quantum just doesn't seem to work. It's a bit like the wine I'm drinking now: Palmer's second wine, Alter Ego 2004 (Margaux, Bordeaux). 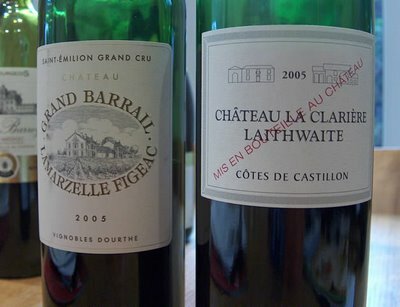 There's the essence of a good Bordeaux here, but you can see why these lots were declassified to the second wine. Structured and firm, quite correct, but without any joy or real personality. It's not often I can't bring myself to have another glass of a £40 wine. That's Bordeaux for you, I'm afraid. Palmer is one of the best, but their second wine isn't (see my report on a vertical tasting of Palmer here - I think I was a little generous on my rating of this Alter Ego then by a point or two). Other films of late? Well, I quite liked 88 minutes, an Al Pacino action film. And Juno was quirky, well acted and fun. The latest Indiana Jones was fun with the kids, including the totally absurd fridge/atom bomb scene. But I can't think of much else. Are films getting worse, or am I just watching the wrong ones? Keith Prothero (pictured below) convened a lunch at the Ledbury yesterday. The occasion? Chris Mullineux, a South African wine grower who Keith is involved in a venture with, was in town to present the new Mullineux wines. Also present were Neal Martin, Jamie Hutchinson (the Sampler), Jim Budd, Nigel Platts-Martin (owner of The Ledbury, The Square and other restaurants), and Lionel Nierop (Bid for Wine). Keith kindly provided the wines, too. I won’t dwell on the Mullineux wines, because I intend to write them up separately. Suffice to say, Chris is right up there with the very best South African producers. The Syrah is beautifully expressive with lovely aromatics and a subtle meatiness; the white blend is taut and complex, with lovely depth from old vine Chenin combined with Viognier, Clairette and Grenache Blanc; and the straw wine, a curiosity made from Chenin grapes dried to reach double their original sugar content, is fantastically fresh and complex. For those unfamiliar with The Ledbury, all I can say is that you must visit. It’s one of London’s very best restaurants. Aussie chef Brett Graham is a genius and I’ve had some of my most memorable gastronomic experiences here. The food is modern and inventive, without being gimmicky. And the lunchtime menu is brilliant value, too. We began with an old Sancerre that was quite puzzling: it tasted really young. Brown colour. Like an old tawny port on the nose, and an old oloroso in the mouth, with a strong molasses character. Sadly this is dead. How do you follow this? With a remarkable dessert (passion fruit soufflé with sauternes ice cream) and two serious dessert wines : the complex Mullineux Chenin Blanc straw wine, and Yquem 1986. One of the first things wine nuts learn is the famous 1855 classification of the left-bank Bordeaux properties. What is amazing is that despite the significant changes in the wine world - including the phylloxera outbreak and subsequent replanting - over the last 154 years, this classification has been surprisingly enduring. Especially when you consider that just one factor was used to determine the ranking: the prices wines that the wines sold for. 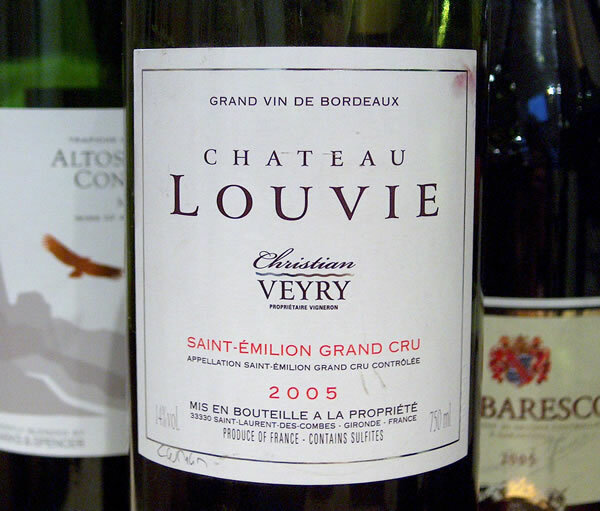 Liv-ex give some background to the original 1855 classification, which was produced by the Bordeaux Brokers Union at the request of the Bordeaux Chamber of Commerce. Its purpose was to be used as part of the regional display at the Paris Universal Exhibition of 1855. The Brokers returned their classification just two weeks after the original request was made. It was based wholly on the price each chateaux’s wine reached on the Bordeaux market. 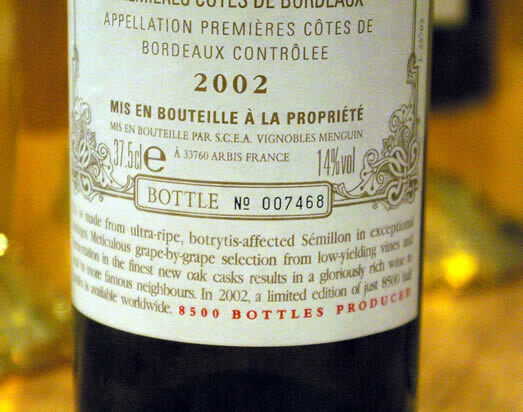 This was soon considered an ‘official’ classification, particularly by those outside the Bordeaux trade. 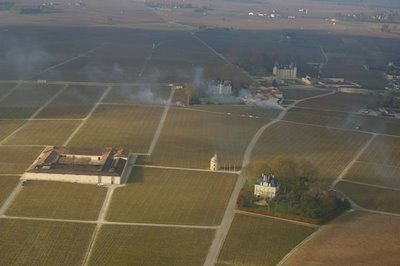 Criteria for inclusion: left bank wines only (both Medoc and Pessac-Leognan); minimum production of 2000 cases; first wines only. You can view the new 1855 classification here. A family lunch at my sister's place in Gerrards Cross. Brother-in-law Beavington is a bit of a wine nut so we usually do some blind tasting, and befitting our give and take relationship (I do the taking part), he provides the wines. The tasting was a little scaled down this time in view of the credit crunch (although he is one of the few bankers who still have jobs) and also the fact that several of the party were ill. And I was driving. Anyway, we started with three Sauvignons, and then did a really nice Tawny port and an old Claret from a slightly dodgy year. Great stuff. Juicy speculation: could Magrez move for Latour?? A bit of juicy speculation. 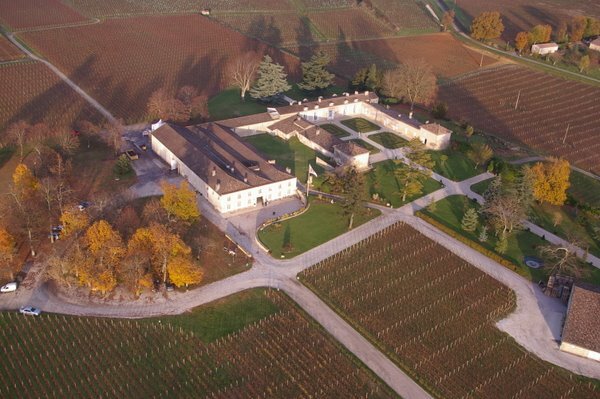 Could Bernard Magrez, who already owns a gazillion Bordeaux estates as well as wineries around the world, make a move for Chateau Latour? This speculation is contained in this article in today's Sunday Times, which focuses on the pressures that current owner Francois Pinault is under, and suggests that Latour is on the market for around £170 million. Pictured is Mr Magrez taken on my recent visit to his Bordeaux estates. Note added later (29/12): I checked, and Mr Magrez has no comment to make for now. It has been a delightful Christmas day in the Goode household. We were woken just before 7 am, which, when you have kids, almost counts as a lie-in. After an hour or so of opening presents from Santa's sacks, it was time for breakfast, then walking the dog, followed by Church, followed by presents round the tree. Then it was time for lunch. We were joined by Fiona's mum (Patsy), her husband Fred, and Fred's American niece Maeve. We did the traditional turkey thing, and it was delicious. To match, I opened a range of bottles. Two Champagnes to start: Bollinger NV (widely available, c. £32) is a classic, with rich, bold, toasty flavours. Ayala Brut Majeur is more precise with lovely tight citrussy, toasty notes (M&S £19.99). Both are delicious, but if pushed I'd opt for the the Ayala. For whites, we went with two. First, a Gobelsburg Gruner Veltliner 2007 Austria (£8 Waitrose), which is a deliciously bright Gruner with some richness and a hint of peppery character. This is a really good, affordable, versatile white. Second, a white Hermitage 2007 from Domaine du Colombier (another Bibendum sample), which is a perfect turkey match. It's rich and textured with ripe pear fruit and notes of honeysuckle and vanilla on the nose. Pretty serious stuff. Just a solitary red, and it was polished off pretty quickly, which is a sign of a good wine. 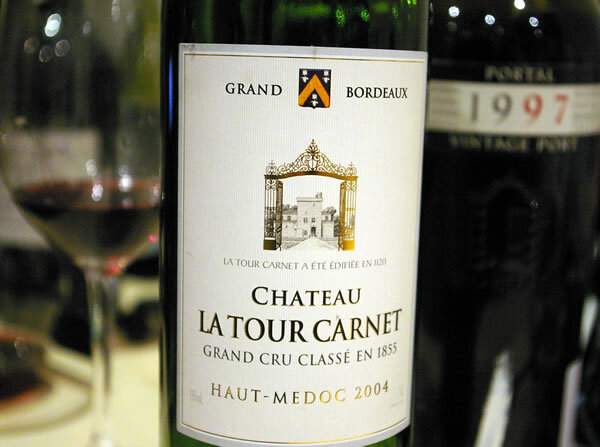 It's the Chateau La Tour Carnet 2004 Haut Medoc, Bordeaux. This is a serious effort that has the potential for further development but which is already drinking well. It's smooth and dark with rich blackcurranty fruit and some gravelly depth. This is one of Bernard Magrez' wines, and it's utterly delicious and reasonably serious. I wouldn't say it was a terribly good match with turkey, but sometimes you just want a delicious wine to drink whatever you're eating. Finally, a pair of Vintage Ports, both from 1997. I have a theory with Vintage Port: it's great young, and it's great old. In the middle it has a bit of an awkward phase. I reckon the 1997s aren't showing their best at the moment, and while both of these are enjoyable, they need another 10 years to start singing. Quinta do Portal 1997 (£35 Great Western Wine) is rich, spicy and fresh with some earthy structure and nice balance. It's just beginning to show complex, evolved notes on the nose, and there's quite a bit of fruit left. The Cockburn's 1997 (c. £30 retail) is nicely expressive with warm, spicy, earthy notes as well as a tarry richness to the dark fruit. They're both wines aiming more at elegance than power. If I had to choose one, it would probably be the Portal. But for current drinking I'd probably opt for a cheaper traditional (unfiltered) Late Bottled Vintage Port (e.g. Noval, Crasto, Niepoort) than these. It was nice to catch up. My ex-boss is a fan of Wittgenstein, and he gave me a quick tutorial on the mind/body problem. I think he must be appalled by my attempts to grapple with the nature of perception, and the way I fall for the Mereological fallacy (i.e. mistakenly stating that it is the brain that perceives, rather than the person). After lunch I went shopping. We may be in the midst of a recession/depression but Oxford Street was heaving. I love shopping for some things (e.g. wine, technology bits, sports gear), but otherwise I really don't enjoy the shopping experience at all. On the main site, I've just posted a lengthy review of innovative wine merchant The Sampler, which I visited last Friday (www.wineanorak.com/thesampler.htm). Here, as promised, I'm posting notes of the icon wines they currently have on tasting. It's always difficult tasting wines like these when you know what they are, because you don't want their reputations to influence you (either way). 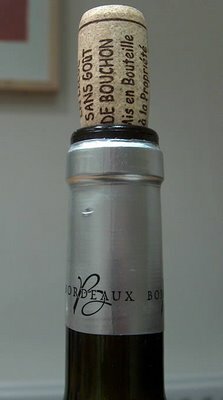 I've drunk quite a bit of Bordeaux Blanc over the last few weeks. It varies in quality, of course, but I think it should be a bit more popular than it is. First of all, it's dominated by Sauvignon Blanc, which is super-fashionable these days. 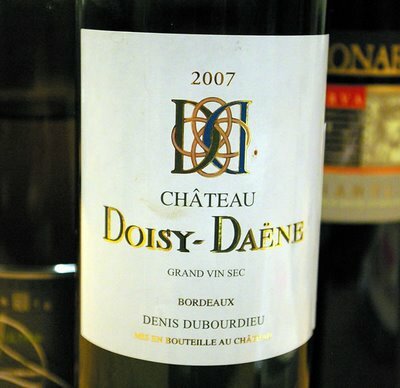 Often, it's blended with a bit of Semillon, which adds lemony freshness. And then there might be a bit of Muscadelle in, to add fruity, grapey notes. Bordeaux Blanc can be fresh, fruity and inexpensive. It can also be more serious and more expensive. Often, the more expensive examples will have a bit of oak - this is one of the few regions where Sauvignon is regularly barrel fermented. 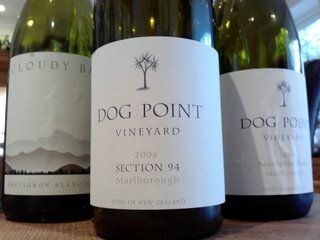 As a rule, Bordeaux Sauvignon tends to be more minerally and less generous and aromatic than, say, New Zealand Sauvignon Blanc. Tonight's wine is an example of a really good Bordeaux Blanc - one that's serious and quite complex. Better than Easyjet and Ryanair! Some pictures from the last couple of days. 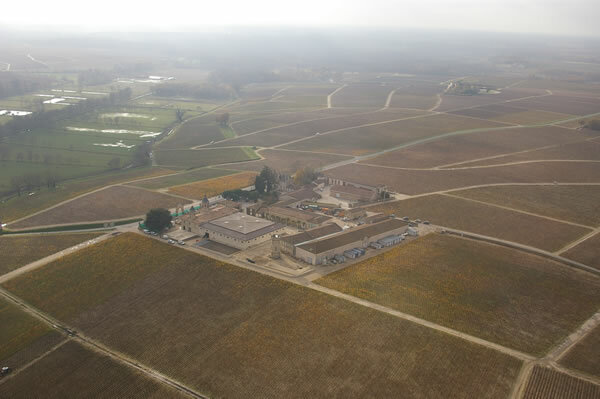 Chateau Latour from above, with the Pichons in the background. 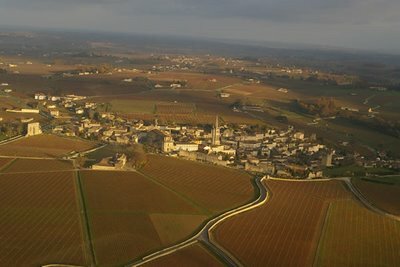 St Emilion from the air. It has been a busy week so far. Monday and Tuesday were taken up by the meeting I was working on about the evaluation of medical research, and which I now have to write a report on. It may seem odd for a wine journalist to be working on this sort of project, especially when I have plenty of other stuff to keep me going, but I'm keen to maintain a link to science – a field in which, until earlier this year I'd been working in for fifteen years. I have lots of experience that I don't want to waste, and I reckon that an occasional science gig can only help keep me fresh for my wine work. 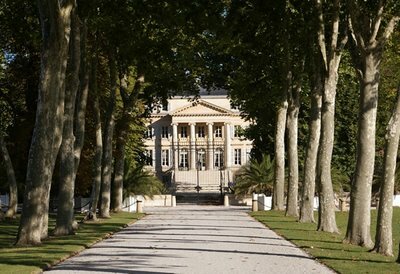 Then for Wednesday and Thursday were spent in Bordeaux, visiting the properties of Bernard Magrez. We stayed overnight at Chateau Pape Clement, which was quite grand. 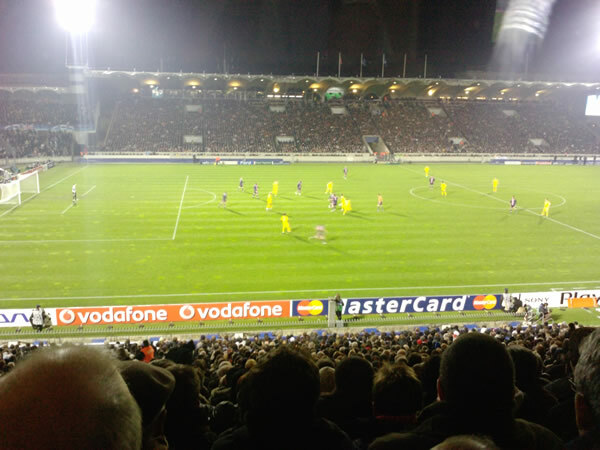 On a non-wine related note, we also accompanied Monsieur Magrez to watch the Bordeaux v. Chelsea game in his private box. The coolest bit of the trip, though, was the transport. 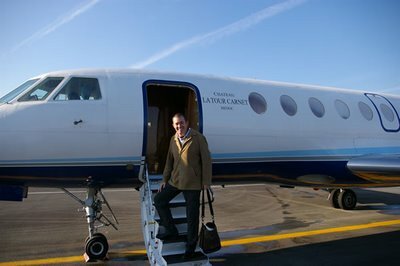 We flew from London City airport on his private jet, and then were whisked around the various properties by helicopter. Flying over the famous estates of the Medoc in a chopper is a memorable experience. Full write up to follow. Pictured above is the view of Ch Fombrauge, one of the Magrez properties, in St Emilion. Tonight I have to give a talk on the perception/psychology/philosophy of wine at the Athenaeum club. I need to finish my presentation. My parents are staying at Chateau Goode this weekend. Time to open some nice reds. Next, the remainder of the D'Arenberg Feathered Dinosaur Cabernet Sauvignon 2004, which was really singing. So dense, intense and powerful, but nicely balanced with it. I rated it very highly and would stick with that rating. One of Australia's best Cabernets. Finally, Fiona picked a wine out blind and opened it. I guessed it correctly - the Matetic EQ Syrah 2006. It's dense, ripe, fresh and concentrated. The give-away was the fact that it had just a touch of that Chilean green/rubbery character on the nose. Not much, but enough to mark it as Chilean. And once I got this, the rest was easy because there aren't many Chilean wines of this quality in my home. Today we walked the dog and went to the Hoo Ying oriental supermarket on the North Circular road near Wembley. Tonight we shall play more games (I am ritually humiliated by my folks at boggle - which they are masters of, but which I'm pretty lousy at) and uncork more wines. On Thursday evening, after the Sainsbury Press tasting, I headed over to Shepherd’s Bush with Tim Atkin for an Austrian wine dinner. 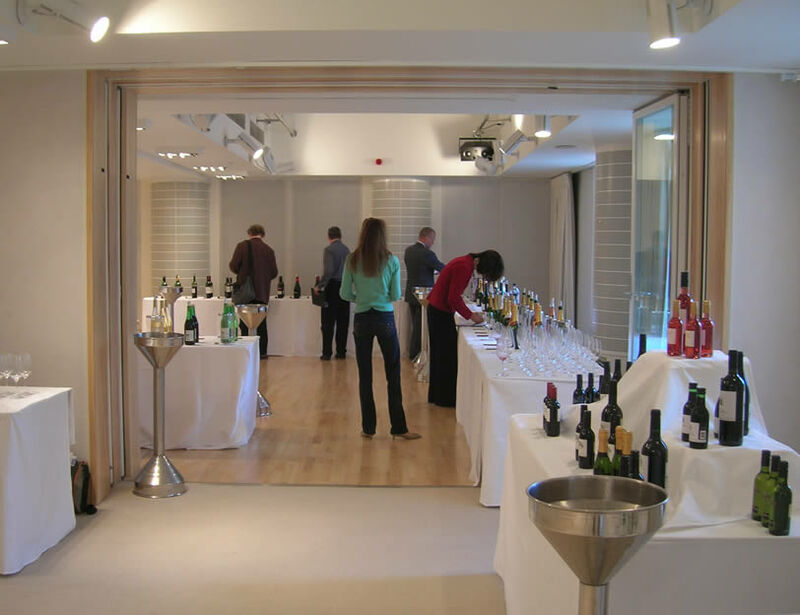 The room was full of Masters of Wine (MWs) – they’d just had their AGM. And the purpose of the dinner was to celebrate the first non-Brit chairman of the Institute of Masters of Wine, Dr Pepi Schuller, who is Austrian, but rather exotically has a PhD from the University of Stellenbosch. The dinner was held at the wonderful Princess Victoria, a former gin house, then seedy pub, and now a serious wine-friendly gastro pub run by Matt Wilkin (see reviews here and here). It was a cracking evening, full of good humour, gossip, boisterous banter and fantastic wines. Here are my notes. The journey home was a long one involving two tubes and a bus, but it was worth it. I must admit, I do enjoy sweet wines. But not very often, because I can't seem to generate enough situations where it seems appropriate to pop the cork on something sweet. It's not like you'd open a bottle of Sauternes at 6 pm and drink it for the evening, is it? I've been opening quite a few sweet wines from Sauternes and other neighbouring Bordeaux regions over the last few days because I had some samples in. It's been quite fun: overall, the quality has been good, and while these are by no means the best or most expensive examples of sweet wines from Bordeaux, they're pretty consistent, with one notable exception. The others, from Cadillac, Loupiac, Sainte-Croix-du-Mont and Sauternes itself, have all been enjoyable wines. With their golden colours, presented in clear glass bottles with white labels and gold capsules, they also look stunning. Probably the best (certainly in terms of value) has been the Chateau La Caussade 2004 Sainte-Croix-du-Mont (£11.86 Waitrose for 75 cl). Yellow/gold in colour, this has an appealing nose of honey, lanolin, spice and ripe peach. 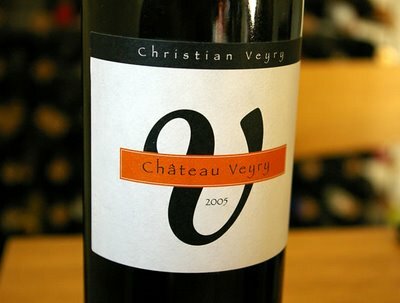 The palate is richly textured and broad, with sweet melon and apricot fruit balanced by a subtly spicy bite. It's not as intense or multidimensional as the best Sauternes can be, but it's still a really nicely balanced wine. My only concern with drinking these sweet wines is how fat I'll get. They're deliciously sweet, with perhaps 130 grams/litre of residual sugar. That means a bottle will have roughly 100 grams of sugar in it, which, together with the alcohol, sounds like a lot of calories. Has anyone done the maths? At Fortnum & Mason today to taste a few sherries with wine buyer Tim French. 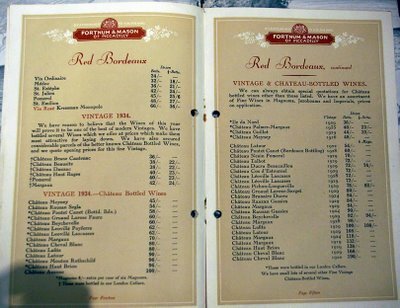 Tim produced an old Fortnum's wine list from 1938, which made fantastic reading. 'It's amazing how tight the range was in those days', he remarked. There's a big section on Champagne, a page of Port from the wood, a page of Vintage Port, lots of Madeira, more than a page of sherry, then large sections on Bordeaux, Burgundy, Hock and Mosel. 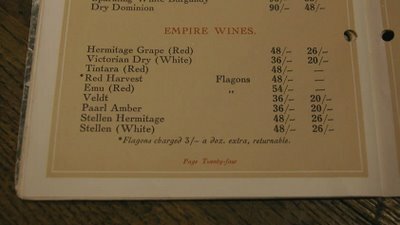 The rest of France has a small section, and then there's a fascinating - if brief - list of 'Empire wines' (see below). It was fascinating also to see the Bordeaux section, including the 1934 campaign that includes both merchant-bottled and Chateau-bottled releases. How the wine world has changed. Just a brief post to alert readers to two documents that were in my in-box this morning. 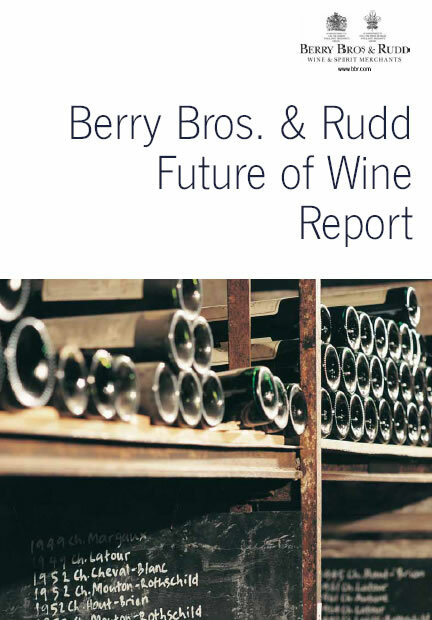 The first is from Berry Bros & Rudd, and it's their predictions for the future of wine. They range from the sound, to the slightly absurd. It's a good read. See for yourself here. 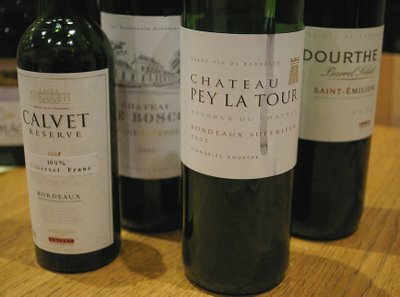 "Each year Liv-ex surveys its members upon their return from tasting the new Bordeaux vintage. The survey is designed to track the consensus of opinion amongst the best professional tasters of young Bordeaux. Liv-ex’s membership numbers 175 of the world’s biggest buyers and sellers of fine wine globally. The 2007 was conducted from mid-April onwards and was concluded prior to the release of scores and notes from Robert Parker." More Bordeaux 2005. High alcohol? From Bordeaux? What do you come to Bordeaux for? I'd suggest that the primary draw for most people is full-flavoured-yet-elegant, ageworthy, structured red wines offering impeccable balance and moderate alcohol - which you'd hope would develop with age into something complex and compelling. I know a lot is made of alcohol levels these days. It's a bit of a stick to beat winemakers in new world regions with, and sometimes I encounter wines with high alcohol that seem perfectly balanced and at ease with themselves. But I did a double take with this next pair of wines in my round-up of affordable 2005 Bordeaux, because they weighed in at 14 and 14.5% alcohol, respectively. I've been taking a closer look at affordable Bordeaux from the 2005 vintage. Four more bottles opened tonight and tasted together. I'm beginning to wonder about whether this is the sort of vintage that's best offered out of sequence. What I mean is, some producers might be best off sending their 2006s and perhaps their 2007s to market before their 2005s. The Champagne houses sometimes do this with their vintage wines. The problem is, they'll have largely sold through, and these days people drink wines as soon as they buy them. The possibility remains that most of this vintage will be drunk before its time. Pick of the bunch here? The Diane de Belgrave (stocked by Majestic). So we had a nice lunch today. It was a small affair - a sort of unofficial farewell do. As I mentioned in my blog a couple of days ago, the place where I've been working as I've been developing my wine career is closing down, and we are being made redundant. 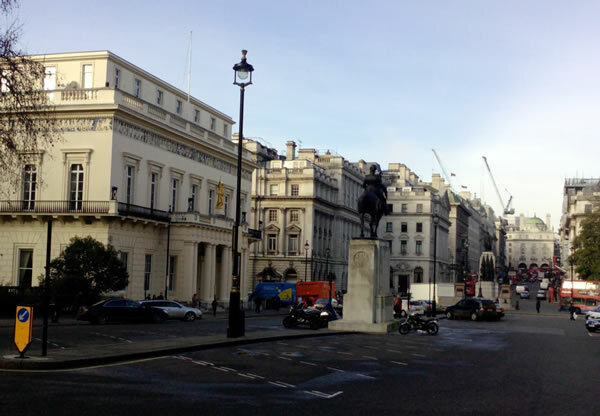 My boss treated our small department of four to lunch at his club, the Atheneum. The Ath is a remarkable institution - a club predominantly for distinguished intellectuals from the arts and sciences. We had a very enjoyable lunch in a lovely setting, washed down with the house claret, which is a delicious Cru Bourgeois Bordeaux from 2001. This wine, selling in the restaurant at £17, is utterly delicious: savoury, intense, a bit gravelly, with great balance and poise. This is what you want from a good claret. No wonder the majority of wine sales here are this particular wine, because it is just so well chosen. This evening I spent three of the coldest ever hours of my life watching elder son play rugby. It was a tournament at London Irish, and it was utterly freezing. His team got hammered. They looked about half the size of some of the others. At this age group, U12, there is a remarkable diversity of sizes and developmental stages: some of the kids looked almost adult-sized. Fortunately, elder son's team didn't make it past the five group games so I was home by 21:15. I'm currently sipping some more of the fantastic Hidalgo Oloroso Viejo I mentioned last week. With sherry and madeira, nothing beats time. When I get my life more in order, I'll try to make sure I always have great sherry or madeira on the go at all times. What a nice thought! I never drink white Bordeaux. Ever. Nor does anyone else. If you want Sauvignon, you go to New Zealand or the Loire. If you want it with a splash of Semillon, you go to Margaret River. What's the point of Sauvignon with an attitude problem? And it's only Americans who try to oak their Sauvignons. But we know the truth is more complex than this, if we are honest with ourselves. 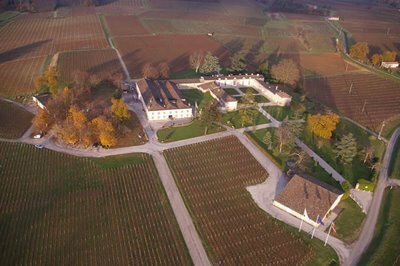 In particular, we realize that white Graves is serious stuff, and that sometimes Sauvignon/Semillon blends from Bordeaux with a bit of barrel fermentation are worthy of our attention: they're serious, ageworthy wines in their own right. Tonight I sip a white Bordeaux that is both serious and affordable. It's Chateau Beaumont 'Les Pierrieres' 2006 Premieres Cotes de Blaye Blanc, which Lea and Sandeman list for £7.95. Initially, on opening it Fiona and I had divergent opinions. She's highly sensitive to oak, and doesn't like oaked white wines at all - she immediately rejected this as being oaky. I'm clearly an idiot, and didn't get oak at all when I first tried it. Instead, I got a bit of struck match reduction as the defining feature on the nose. But Fiona is right: Beaumont used new oak barrels for this wine. They fermented it in new barrels destined for their red wine program, understanding that by the time fermentation was complete with the white, the red would be ready to press into the already-used barrels. The combination of oak, reduction and fresh, herb-tinged fruit results in a fairly complex, savoury, expressive white wine that I reckon will improve in bottle for perhaps five to ten years. It's a really interesting wine, in the style of serious white Graves, but it's affordable. 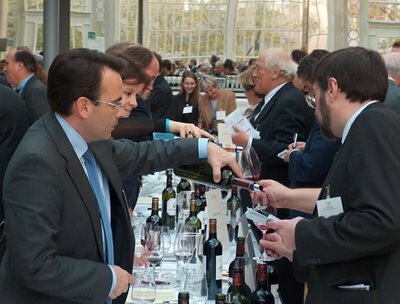 So popular is the Bordeaux 2005 vintage with the wine trade that the organizers of this year’s Union des Grands Cru tasting at the Royal Opera House had to operate a two-shift system. Given a choice of morning or afternoon tasting, I opted for the 10.30–13.30 band, and despite the split shifts, the place was still heaving. In a crowded environment, tasting is made quite difficult. While the Riedel glasses, the open, airy room and the sunny weather all worked in the tasters’ favour at this event, the crowds, the jostling for position near spittoons, and the general noise level meant that the fine discriminations that need to be made in order to assess quality at the highest level were quite tricky. Add to this the usual bugbear at large tastings – the repeated exposure of the mouth to dense, young, tannic wines – and you have a bit of noise in the system, which means that the notes and scores I made today aren’t my final word. To make this buccal over-exposure less of a problem, I kept my sampling down to a relatively modest 40 wines, even though there were close to 100 on offer (including whites and Sauternes, which I skipped). This was my third tasting of a large batch of the 2005s – en primeur in April 06, then a second cask sample session in February this year, followed by this first look at the bottled wines. Overall impressions? 2005 is a remarkable vintage in Bordeaux, across the board. All the appellations have produced generously proportioned, concentrated, tannic wines that look set for long development in bottle. These are not wines that you want to drink now (although I’d imagine that more commercial wines made in a lighter style will now be beginning to show their best). 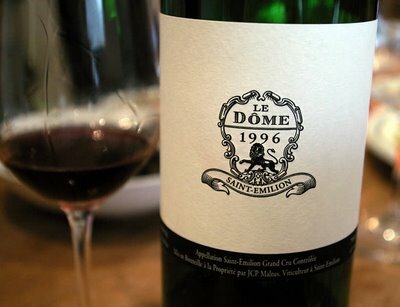 I was repeatedly amazed by the density of fruit, usually backed up by firm tannin and good acidity, and not infrequently a fair whack of new oak. It will take a while for many of these wines to begin to harmonize. Some may be so tannic and extracted that they won’t ever achieve real balance, although it’s hard to be sure at this early stage. I’d also say this is quite an awkward stage to be evaluating the 05s, because they are so tight and tannic. It’s as if they are currently bunched together. In time, I’d expect them to diverge more and then spotting the real gems amidst the generally high overall level of quality will be easier. It’s important not to be seduced by the wines that are currently more open, because these aren’t necessarily the top wines. Some of the wines that are tight and a bit ungainly now will be the swans in 30 years’ time. Notes on the wines will follow shortly on the main site. One final thought. Bordeaux is a bit different, isn’t it? All the winery owners, representatives and winemakers were wearing suits, or smart dresses. [Many of the guys were wearing expensively tailored suits, too.] There was lots of jewellery. You get the impression that even cellar hands in Bordeaux wear a shirt and tie. No T-shirts, no jeans, no non-conformists. The wines seem to reflect this. Some bottles opened last night, and continued tonight, remind me why I do what I do: I love wine! First of all, a couple of Gruner Veltliner. Lenz Moser's Laurenz V Sophie 2006 is a wine that we've consumed 15 bottles of in the Goode household since summer. It's brilliant for the price - around £5 on special from Tesco - and we have six more arriving next week. But a step up is the Stadt Krems Gruner Veltliner Weinzierlberg 2006, which is one of the most enjoyable whites I've had in a while. It's aromatic, full, generous, well balanced, lively and quite thrilling. This is GV at its very best, and just under £10 from Averys. I must buy some. The picture is of the closure used to seal the Stadt Krems GV. 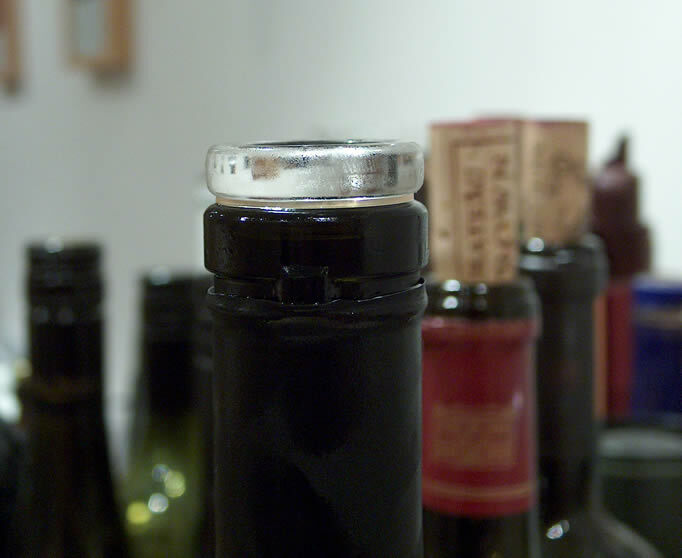 It's a Vino-Lok, which is a glass stopper with a plastic ring doing the business of sealing, covered in a metal cap. I'm not sure about Vino-Loks: they look good, and feel nice to open (no special tool is required), but plastic allows diffusion of oxygen, and it is plastic that is making the seal. Besides, they're really expensive compared with screwcaps and Diam, their main competitors. Forgive the unrelated photograph. It's me on the back of a mechanical harvester, taken on Thursday afternoon in Entre-Deux-Mers. The other rider is Beverly Blanning. 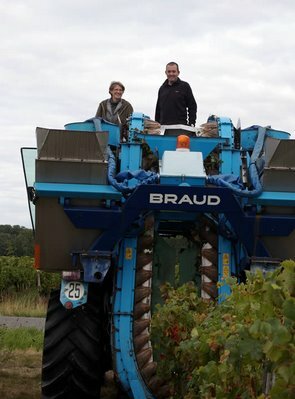 We were watching the harvest at Chateau Lavison, where Merlot was being picked, and the offer was made: do we want a ride? So precariously balanced on the back, quite high up, we watched as a couple of rows were picked. It's amazing how these machines can pick so well: the reception bins contained almost exclusively intact berries, and a simple triage at the winery picked out remaining stems and any rotten or unripe grapes. Anyway, the title of this post refers to today, where a couple of nice things happened. First of all, I found Fiona's keys. Doesn't sound too eventful, does it? But it was. Last Tuesday, Fiona was walking RTL in Hanworth Park, when a horse, which wasn't supposed to be there, suddenly appeared. RTL ran fast towards it, and began running round its legs. There was panic, and Fiona ran after the imperiled hound trying to catch it. After the crisis had passed, she realized she no longer had her keys, which must have fallen out of her pocket. The problem is, Hanworth Park is huge, has tall, dense grass off the pathways, through which Fiona had to run, and the keys could have been anywhere within a patch approximately 200 m x 100 m. That evening we searched en famille without success; subsequent search attempts also failed the following day, so we gave the keys up for lost. Now house keys are easy to re-cut. But the car key is a different matter. A quick call to Mazda revealed that it was easily replaceable, but at a cost of £260. £260 for a car key? That's more than an Ipod costs, and an Ipod is a whole lot more complex. And they needed the car for two hours on next Friday morning for some reason to supply the new one. Why? So this morning, as I was walking the dog through Hanworth Park, my mind briefly flitted to the issue of the lost keys. Maybe I'll look for them again, I said to myself. I'd taken just two paces off the path when I looked down, and there they were. It felt like a miracle. The second nice surprise was waiting for me when I got home: a nice royalty cheque for Wine Science. I'd previously just received and advance: this was the first time the earnings had passed the amount of the advance and I got some cash in my hand. It's selling particularly well in the USA, and has just been translated into Japanese. It's always nice to get money that you weren't expecting. Just back from two action-packed days in Bordeaux. Day 1 was very practical, spent in Entre-Deux-Mers researching integrated viticulture - a scientific approach to sustainability that attempts to forge a balance between the environment, economic considerations and product quality. Yvon Mau have a club of 13 producers who are working in this system, which shows great promise because it is something that even large volume low cost producers can implement (unlike organics or biodynamics, for example), and it results in better quality with far fewer chemical inputs. Then yesterday, Richard Bampfield (who organized the visit) and I set off early to do some tourism, either side of a visit to Jean-Christoph Mau's Chateau Brown in Pessac Leognan. 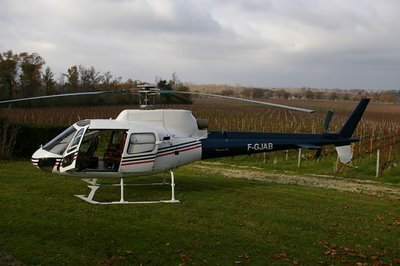 We hit Saint Estephe, Pauillac, St Julien, Margaux before our visit, and then Pomerol and Saint Emilion afterwards. It's a really good time to see the visit as harvest is either soon to begin, or has begun, depending on where you are. More on the potential of 2007 later. For now, two pictures. 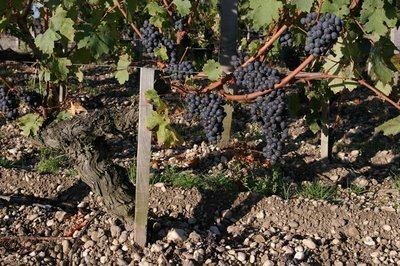 First, harvest underway at Lafleur (Pomerol) and, second, Cabernet Sauvignon grapes at Lafite. Asda press tasting today was well attended. I bumped into Tim Atkin, Victoria Moore, Anthony Rose, Joanna Simon, Malcolm Gluck and Julia Harding. Also present (bizarrely) were Christine and Neil Hamilton. I was surprised just how drinkable Asda's half-dozen sub £3 wines were. I thought this was a category that had dried up. Philippa Carr MW has been doing some good work with the business end of her range. I'm off to Bordeaux tomorrow for a couple of days, to see the harvest, and the forecast is good. Horridly early start, though! I'll have to catch the 05:06 train. So we headed off to brother-in-law Beavington's (who is married to my sister Hester) for lunch, along with twin sister Anne and her husband Dominic. Little did I know that I was going to be treated to a flight of 13 wines, all blind. It was a really interesting excercise, and we had a great time. As someone who professes to know a bit about wine, I love the chance to taste blind. Of course, there's more to a wine that just what is in the glass. The context matters, and the sight of the label can help a great deal in guiding or shaping our perception. At the same time, the sight of the label can lead us into bull***t land, where we begin to 'experience' things we have never really perceived, but this doesn't mean that the only legitimate tasting is blind. What blind tasting does is focus the mind and provide a bit of a reality check. If a taster can't tell the difference blind between a first growth Bordeaux and a Chilean Cabernet, or Krug and Cava, then what are they doing wasting my money buying the top stuff? If the difference is too close to call, then they could save a lot of money by buying the cheaper option. I'll just mention one of the wines we tasted today here; many of the others deserve their own space. It's a wine I immediately identified as a top Bordeaux, but it had what hindsight shows me to be some distinctive Cabernet Franc/Merlot leafiness - a clue that I missed, and which would have led me more to the right bank than the left. I'm slightly worried that with all these accounts of walks in the country en famille you are left with some picture of domestic idyll chez Goode. Let me correct this notion. When we announced to the boys this morning that we were intending to head off to the Surrey Hills for a family walk, there was severe rebellion in the ranks. Not surprising, because the slightest parental request in our house is usually treated as fighting talk. For some reason, 'Would you like to come off playstation now, because you've been playing it for 2 hours and you need to eat lunch', is interpreted by elder boy as 'Step outside now'; it's not much better with younger son. 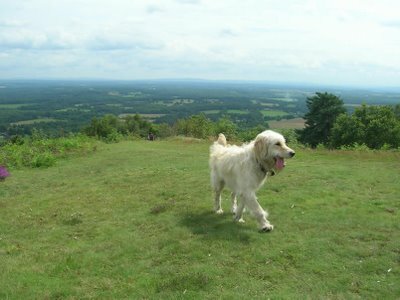 After some negotiation, we managed to set off for one of my favourite excursions, The Holmbury Hill Walk. The best bit about it is that half way round there's a decent pub where you can lunch. Fortified by a couple of pints of Ringwood, and encouraged by the half-decent weather, we had a lovely walk. Even though the kids had considered a long and painful death to be a better option than a family walk before we'd left, once we were there they enjoyed it too.